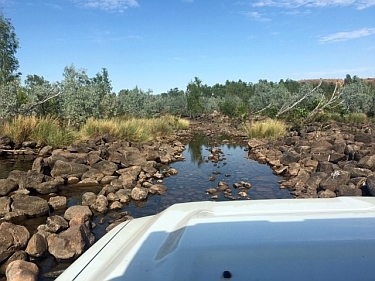 Firstly, we would like you to know that we have had a fantastic holiday this last time to the Gibb River Road, Mitchell Plateau and surrounding area in the Kimberleys. 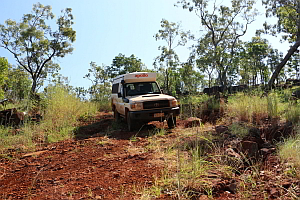 The 4wd vehicle we hired through you was absolutely Super. This was really our dream car that could do anything. 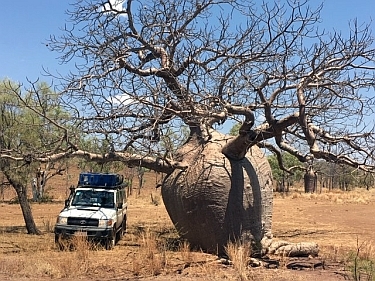 We would love to do this trip again and then just after the Wet season. Fantastic, our best holiday in Australia so far! This year we would also like to go to New Zealand in one of those big motorhomes. A few weeks ago we’ve returned from our Australia-trip, which was, in one word: Fantastic! This type of holiday was very much “us”, just what we wanted. 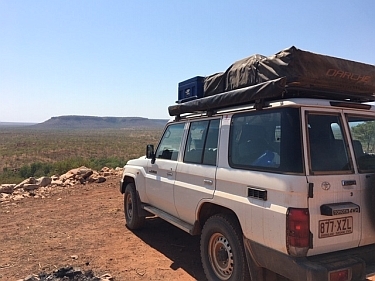 Our goal was to explore the Australian outback, combined with 4×4 driving, and that is just what we did! 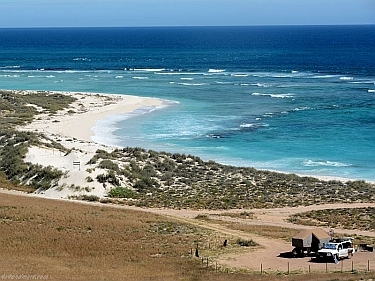 Our itinerary during those 4 weeks was, in a nutshell: Darwin, Jabiru, Kununurra, Gibb River Road, Broome, Tom Price, Exmouth, Yanchep, Rottnest and we finished in Perth. Everything fully met our expectations. 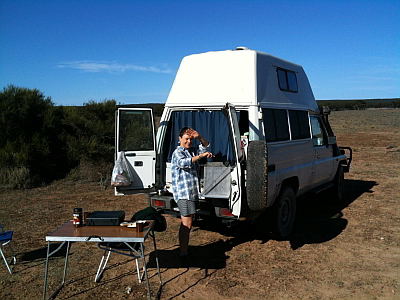 The vehicle suited us, as experienced 4×4 travelers, and the offroad tent trailer was perfect for our family of 4 adults. It is easily erected in a few minutes time. 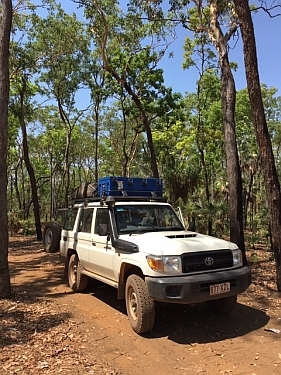 We regularly received positive feedback about the 4wd (Landcruiser) and 4wd trailer combo that we traveled with. The support from the rental company was excellent. Your personal assistance, travel advice and help with planning our adventure was very useful and very much appreciated. We now look forward to the next trip, to be continued! 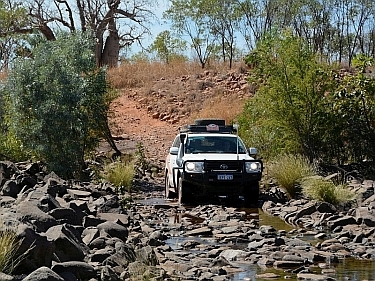 The trip was fantastic and the Land Cruiser was a very good companion, he did his job. We made more than 4700 Km with him, half of which on unsealed roads. It was our home for 1 month. No regrets. Thanks also to the TCC team for their efficiency. We are now back from Australia to Thailand. We are extremely enchanted with the professional and courteous manner in which we were treated. Your customer service is far superior to all the widely known rental car companies. We have been back from our trip to Namibia already nearly two months ago (can you believe it??!!??) and we had an absolutely amazing time – such a beautiful country!!! What also contributed to having such a great time was the fact that there were absolutely zero problems with the rental vehicle – from pickup to dropoff all went smoothly and we did not even have a flat tyre (lucky us! ;-)) even though we covered quite a bit of ground while we were there. We would like to thank you very much for all your assistance with the booking and ironing out the details with Britz; it really could not have gone better. We are home from our holiday in WA and what a wonderful holiday it was. That area of Oz is magnificent. I’ve attached a photo of all 4 vans arranged in the corral style that we adopted. We missed out on Litchfield Park and we would like to come back and do that. 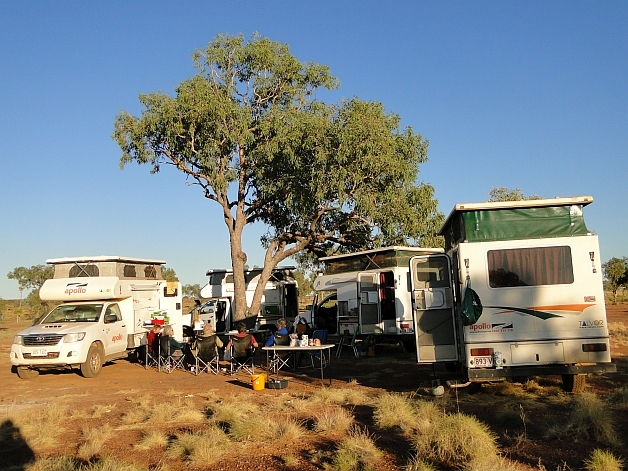 These campers are a great way to explore and holiday away from cities and hotels. 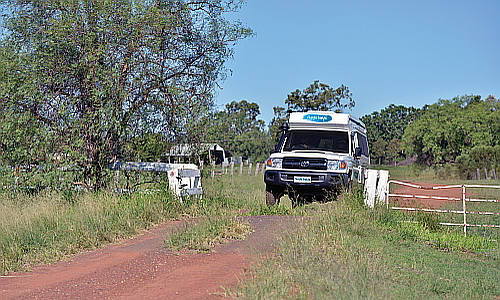 The information presented on the website was the most comprehensive around 4WD camper hire that I came across. Booking was straightforward, and my queries to Totally Campers staff were dealt with quickly and provided the information that I was after. Very helpful. 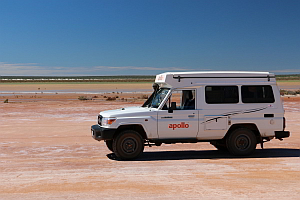 The Apollo Adventurer was fit for purpose for a week’s touring of the National Parks. Basic, but more comfortable and convenient than tent camping, and the air-con was a god-send during the sultry nights. Having a small fridge to chill our drinks was quite a luxury. Having beautiful Wangi Falls to ourselves on a lovely warm spring evening in Litchfield NP. The remote campsite was peaceful and nothing beats cooking your dinner on the BBQ while the fruit bats leave their roost in squadrons overhead. Unfortunately, several of the 4WD trails that we had planned to take were closed due to fire during our visit, so we could not make as much use of this facility as we had planned. 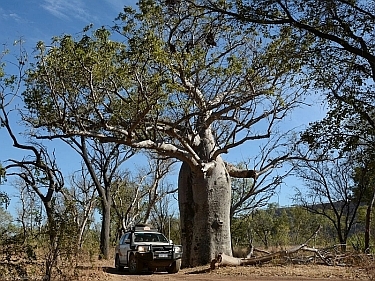 However, we did take an unplanned 4WD drive to Maguk in Kakadu NP (photo attached), which was an unexpected gem. The road is not especially challenging in the dry, but the walk along the wooded creek to a small waterfall and pretty plunge pool is charming. I would recommend the TotallyCampers service to find a camper that suits your requirements! Top-service! that sums it all up. 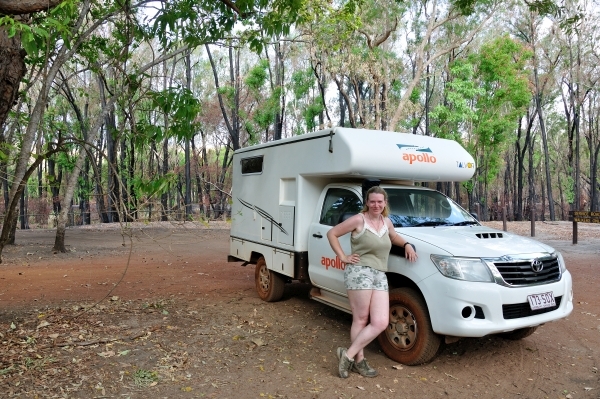 We have booked a camper through Totally Campers 3 times now: Twice in Australia and once in South Africa and Namibia. Every single time we have been very well looked after by the TC staff. Fast response times and very good travel advice! They were always thinking WITH us to come to the best solutions, suited to our situation/trips. And of course, the vehicles were very competitively priced: the first two times we still looked around to see if we could find something cheaper (which we couldn’t) but the third time I didn’t even bother and contacted TotallyCampers straight away. New Zealand and the USA are also high on our list. I already know now where I will book the vehicle! René and Ester, thank you so much for everything! you’ve helped making our holiday adventures a great success! 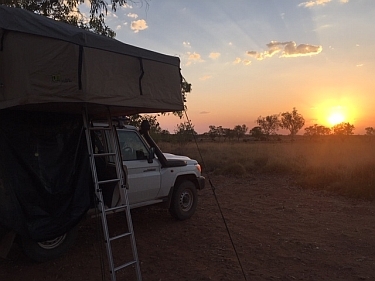 I’ve been meaning to write for ages to tell you what a great holiday we had in NT and how smoothly everything went with the 4WDcamper. 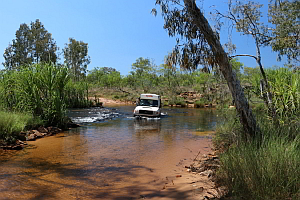 Antony really enjoyed driving the big 4WD; we all felt very safe and comfortable aboard. 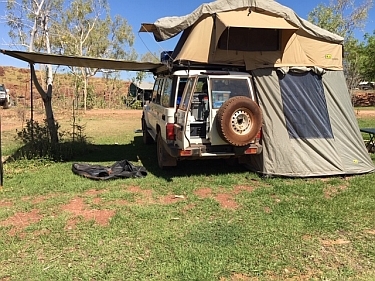 I loved how everything I could think of was provided for cooking, eating and sleeping and the boys got right into the daily fun of setting up camp and how cleverly things were designed to fit in the vehicle like a jigsaw puzzle! 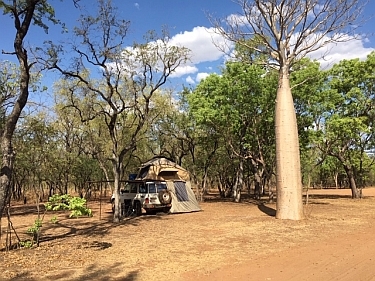 Your advice about places to go was fantastic because there were times when we had campsites and waterholes to ourselves and that was really special. I would really recommend families to explore Australia with a self-driving, camping adventure; it was the holiday of a lifetime! Thanks for all your help and making it so easy. We’ll be back! Miranda and Antony, Melbourne. Kind regards from Denise Buetler & Co.
Dear Ester and Rene Our friend Denise has already informed you about our decision and the considerations that led to it – I have nothing to add to that. thanks a lot for your great service!!! 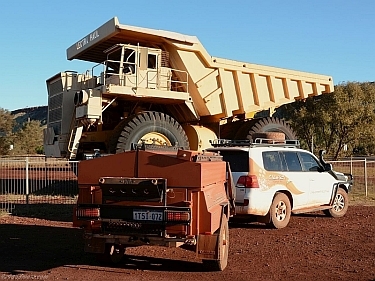 We’re back from Perth, and I’m glad I dealt with you for the rental of our Apollo vehicle. 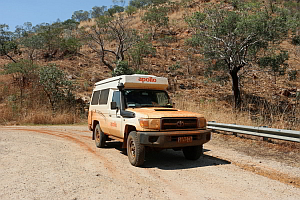 The vehicle was good, as we expected it to be considering it was a Cheapa, and we had a wonderful holiday, one more Down Under. We still have lots to discover in the country so I guess I’ll get back to you asp we have the time and money to get back !